the very best personally recommended electronics reference and text books from Ian Purdie, VK2TIP. Purchasing recommended books through the USA, is this the best for you? Why do I recommend these particular reference and text books? 1. I personally own and use most (but not all) of these titles, of course some of mine are the older editions. Others have been enthusiatically recommended and endorsed by contributors. Again some titles simply come up on a regular basis from Amazon reports, a kind of "what others recommend by buying". Often some of these titles come from solid recommendations from the Electronics Q&A group. From, January 2002, McGraw-Hill Professional Publishing sent me a number of interesting titles to review personally. I will of course present these book reviews in coming weeks. 2. If you are really serious at all about learning AND understanding electronics you need many of these books in your personal library. 3. The very modest (about 6% - average $1.68) commission revenues earned on new book sales through Amazon here helps maintain and, more importantly, expand this FREE educational site. Save up to 30% on New Textbooks and up to 90% off Used Listings from Amazon Books. New Textbooks: Save up to 30% off the price of over 100,000 new textbooks. Shop for the latest test prep guides, essential reference books, and the most popular study guides. Here below are a few real quality books I can really personally recommend with absolute confidence, all written by highly respected authors, some who are personally known to me. Don't be put off by the word "amateur" in some of the titles, such as the famous "electronics bible", The ARRL Handbook for Radio Amateurs these are comprehensive electronics reference and how-to-books. Note disclosure: - I have affiliate programs with Amazon Books (FRANCE, GERMANY, JAPAN, U.K. & U.S.A.) and all details were correct when I last checked. Reviews - Portions copyright Amazon.com and/or respective publishers and/or authors. AMAZON'S RETURN POLICY - U.S.A.: Note under Amazon's Return Policy, you can within 30 days of receipt of your book, return your book in its original condition, for any reason, for a full refund (Amazon will also refund the shipping cost if the return is a result of Amazon's error). Please read Amazon's Return Policy. → NEW! ‣ - Amazon Electronic Component Packs. Check out the Amazon Electronic Component Packs page. Amazon now offer you the opportunity to buy second hand text books. Often this can represent a substantial saving on regular "new" prices. If you think you might be interested in these used text boooks then Click Here. Written for technically oriented readers, this book offers a basic but comprehensive understanding of radio communication, including satellite and cellular systems, with an emphasis on short-range or low-power wireless applications. This book fills the void for those looking to develop wireless digital communication between personal computers, peripherals, and consumer electronic devices using short-range RF. Illustrative examples and diagrams accompany basic theoretical discussions. Information is included concerning rules and regulations governing unlicensed short-range radio equipment for the United States, Canada, and Europe. The accompanying CD-ROM contains real-world examples of engineering worksheets for short-range communication system designs. Professional electronic technicians preparing to take a Certified Electronics Technician (CET) exam will find this book an extremely helpful resource. Designed to serve as an overall review guide, it covers a wide range of information readers must know in order to pass the Associate-level section of the Certified Electronics Technician Exam and both the Consumer and the Computer Journeyman-level tests. Subjects covered include three-terminal amplifying circuits in consumer products, VCRs and compact disc players, televisions, digital and computer systems, and text equipment and troubleshooting. Review questions with all answers are included at the end of each chapter. Three complete 75-question exams and answers are provided at the end of the book. Designed for use by the novice as well as the professional, this book/CD- ROM combo gives the reader all kinds of projects with material that explains why they work. A wide variety of antennae are covered: high frequency dipole, vertically polarized HF, multiband and tunable wire, hidden and limited space, directional phased vertical and directional beam, VHF/UHF transmitting and receiving, shortwave reception, microwave, mobile, marine and emergency. This third edition has new material on wire antenna construction methods, antenna modeling software, antennas for radio astronomy and Radio Direction Finding, and antenna noise temperature. A remarkably successful book (Cambridge reports sales of 125,000 copies of the first edition in eight languages). Emphasizes the methods actually used by circuit designers -- a combination of basic laws, rules of thumb and a large bag of tricks. Retains the informality and easy access that characterized the first. Responding to the rapid changes in electronics, they offer many new tables as well as new and revised topics. Annotation copyright Book News, Inc. Portland, Or. 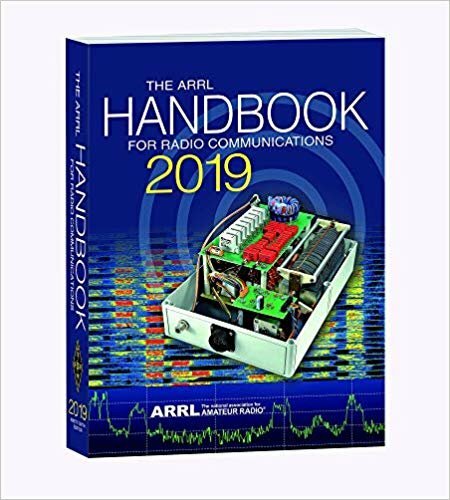 The ARRL Handbook 2019 softcover edition. Up-to-date and always revised! ORDER - U.S.A. - The ARRL Handbook for Radio Amateurs 2019 - Softcover - A reference book I can highly recommended to everyone with absolute confidence. ARRL - with companion CD available! by Delton T. Horn (Author) "IN SOME CASES, YOU CAN DIAGNOSE A PROBLEM SIMPLY BY EXAMINING the symptoms logically ..."
Extremely popular with those people striving to gain general class licensing. 380 pages! Ian Pool, G3YWX is well known among QRP circles and is a fine fellow indeed. His book HF Amateur Radio comprises 128 pages! Ian Poole is an experienced author in the field of radio and electronics. He is professionally involved in the electronics industry with a career of over 25 years. He has held an amateur radio licence for over 30 years and has written many articles for the amateur radio and electronics press. For short wave listeners and radio amateurs, the HF or short wave bands are one of the most interesting areas. Stations from all around the globe can be heard and many interesting contacts can be made. Operating on these frequencies requires many skills if the most is to be made of the time that is available. This book describes the radio spectrum from 1.8 to 30MHz. The book takes the reader through setting up an efficient amateur radio station, which equipment to choose, installation, and the best antenna for your location. It is packed full of vital information including which frequencies to use, how to operate on the bands, and the advantages of each type of transmission. HF Amateur Radio will benefit those new to amateur radio, anyone contemplating exploring the world below 30MHz, and just about any short wave listener or licensed amateur who feels he could get more out of their station. Imagine? 1,000 hardcover pages of expert, A-to-Z coverage of every electronics system in today's cars. From antilock brakes to collision warning systems, automotive electronics figure prominently in the design of modern automobiles like never before. And, when it comes to taking you through this technology in an authoritative, accessible, one-stop format, no resource comes close to Jurgen's bestselling Automotive Electronics Handbook. Whether you're an electronic engineer, mechanical engineer, technician, or an enthusiast working in the automotive industry or a related area, this indispensable reference is all you need to stay on top of the fast-moving world of automotive electronics. Featuring contributions from a "who's who" of experts from leading-edge companies like Chrysler, Bosch, Honda, Motorola, Intel, and Nissan, the revised and updated second edition builds on its successful predecessor's in-depth look at sensor and actuators, electronic systems, and components. The result is an all-in-one, landmark guide to automotive electronics that's your best bet for easy, at-a-glance reference and fast answers to common problems. Ch. 1. Introduction by Ronald K. Jurgen; Ch. 2. Pressure Sensors by Randy Frank; Ch. 3. Linear and Angle Position Sensors by Paul Nickson; Ch. 4. Flow Sensors by Robert E. Bicking; Ch. 5. Temperature, Heat, and Humidity Sensors by Randy Frank; Ch. 6. Exhaust Gas Sensors by Hans-Martin Wiedenmann, Gerhard Hotzel, Harald Neumann, Johann Riegel, Helmut Weyl; Ch. 7. Speed and Acceleration Sensors by William C. Dunn; Ch. 8. Engine Knock Sensors by William G. Wolber; Ch. 9. Engine Torque Sensors by William G. Wolber; Ch. 10. Actuators by Klaus Muller; Ch. 11. Automotive Microcontrollers by David S. Boehmer; Ch. 12. Engine Control by Gary C. Hirschlieb, Gottfried Schiller, Shari Stottler; Ch. 13. Transmission Control by Kurt Neuffer, Wolfgang Bullmer, Werner Brehm; Ch. 14. Cruise Control by Richard Valentine; Ch. 15. Braking Control by Jerry L. Cage; Ch. 16. Traction Control by Armin Czinczel; Ch. 17. Suspension Control by Akatsu Yohsuke; Ch. 18. Steering Control by Makoto Sato; Ch. 19. Lighting, Wipers, Air Conditioning / Heating by Richard Valentine; Ch. 20. Instrument Panel Displays by Ronald K. Jurgen; Ch. 21. Trip Computers by Ronald K. Jurgen; Ch. 22. On- and Off-Board Diagnostics by Wolfgang Bremer, Frieder Heintz, Robert Hugel; Ch. 23. Passenger Safety and Convenience by Bernhard K. Mattes; Ch. 24. Antitheft Systems by Shinichi Kato; Ch. 25. Entertainment Products by Tom Chrapkiewicz; Ch. 26. Multiplex Wiring Systems by Fred Miesterfeld; Ch. 27. Electromagnetic Standards and Interference by James P. Muccioli; Ch. 28. Electromagnetic Compatibility by James P. Muccioli; Ch. 29. Navigation Aids and Intelligent Vehicle-Highway Systems by Robert L. French; Ch. 30. Electric and Hybrid Vehicles by George G. Karady, Tracy Blake, Raymond S. Hobbs, Donald B. Karner; Ch. 31. Noise Cancellation Systems by Jeffrey N. Denenberg; Ch. 32. Future Vehicle Electronics by Randy Frank, Salim Momin; Index. ORDER - U.S.A. - Automotive Electronics Handbook - Ronald K. Jurgen (Editor) - Usually ships within 24 hours. by Robert Carrow, Rick Brown (Illustrator) - Paperback - 111 pages (December 9, 1996). Amazing, useful and educational gadgets kids can build! With the help of this book, children can have fun impressing family and friends with all kinds of cool electronic gadgets and contraptions. all the while, they'll be learning about electricity and radio waves. In addition to making these irresistible projects, children are encouraged to create their own inventions. Ideal for middle school children, these useful and whimsical contraptions can be made with inexpensive, easy-to-find materials such as recycled toy parts and motors, flashlight batteries, and other everyday household items. Simple-to-build gadgets and contraptions include: Remote-controlled fan; Mousetrap alarm; Canned laughter; "Someone's outside my door" light; Wireless magic tricks. Each thought-provoking activity comes with complete, clear instructions, but that's not all. Plenty of suggestions are included for varying and changing each project to help children brainstorm their own cool inventions. ORDER - U.S.A. - Turn on the Lights - From Bed! - On Order; usually ships within 24 hours. by Kurt Gieck, Reiner Gieck - Hardcover - 572 pages 7th edition (August 28, 1997). A comprehensive revision of the famed pocket guide giving engineers, scientists and other specialists a wide range of technical and mathematical formulas in a handy format. Now including a new section on control engineering, this edition is updated throughout and includes 50 additional pages. This perennial best-seller puts engineering formulas most used on the job at the user's fingertips. Thoroughly practical and authoritative, it brings together in one source thousands of formulas and hundreds of diagrams to simplify all engineering and technical calculations. Comprehensive section cover: Units, Areas, Solid Bodies, Arithmetic, Functions of a Circle, Analytical Geometry, Statistics, Differential Calculus, Integral Calculus, Differential Equations, Statics, Kinematics, Dynamics, Hydraulics, Heat, Strength, Machine Parts, Production Engineering, Electrical Engineering, Control Engineering, Radiation Physics, Chemistry, Tables. ORDER - U.S.A. - Engineering Formulas - McGraw-Hill Professional Publishing; - Again a quality, yet economical, reference book I can highly recommended to everyone with absolute confidence - On Order; usually ships within 24 hours. by Howard W., Ph.D. Johnson, Martin, Ph.D. Graham - 384 pages. Focused on the field of knowledge lying between digital and analog circuit theory, this new text will help engineers working with digital systems shorten their latest design problems. The scope of the material covered includes signal reflection, crosstalk, and noise problems which occur in high speed digital machines (above 10 megahertz). This volume will be of practical use to digital logic designers, staff and senior communitions scientist, and all those interested in digital design. REVIEW: Very good balance of theory and practice, nice examples from the real world, must-read for anybody designing high speed digital logic and having PCB board design in mind. ORDER - U.S.A. - High Speed Digital Design - usually ships within 24 hours. by Joe Carr, Keith Brindley, Joseph J. Carr - 344 pages. * Core title in Pocket Book series. * Updated by leading US electronics author, Joe Carr. * Covers European and US practice. Newnes Electronics Engineer's Pocket Book is a unique reference source concise but comprehensive, and designed to be an essential tool for a wide range of engineers and electronics enthusiasts. This is a book written to be used, not to gather dust on a shelf, so unlike most reference books it is designed for the workshop and lab. This compendium includes: component data, IC pin-outs, tables, formulae, principles of circuit design, circuit diagrams and a substantial glossary of terms. "There is no way I would be without my copy of this fine reference, you will wear it out with constant use..... Absolutely brilliant for students preparing for exams." The second edition includes expanded material on circuit design covering amplifiers, bridge circuits, filters and lasers. The editor of the second edition is Joe Carr, a leading US electronics author who has published numerous books and magazine articles, including several titles with Newnes. ORDER - U.S.A. - Newnes Electronics Engineer's Pocket Book - Newnes - A solid reference book I can highly recommended to everyone with total confidence my edition, the 17th was published quite some time ago - Usually ships within 2-3 days. In this information-run-amok age of pencil-necked pencil pushers, who can an aggrieved party call on for an old-fashioned spy job? Why, an old-fashioned spy, of course! Let Sheldon Charrett, the last of the old-fashioned spies and author of Modern Identity Changer, show you how to build bugs or take advantage of those already in place (be they cordless phones, baby monitors or cell phones); assemble a DTMF decoder with LCD readout or decode the phone tones without one; construct a red box for free pay phone calls; map a cellular coverage area; modify a Mr. Microphone to broadcast outside the commercial FM band; crack answering machine passwords in seconds; make a crystal-controlled FM phone tap for those annoying subjects who refuse to use cordless phones; defeat digital and spread-spectrum cordless phones with an FM phone tap and much more! Many of these procedures in this entertaining, fact-filled book have not been published anywhere, and the photos and drawings make following them a snap. This is the book old-fashioned spies everywhere have been clamoring for. For academic study only. ORDER - U.S.A. - Electronic Circuits and Secrets of an Old-Fashioned Spy- Availability: This title usually ships within 24 hours. ORDER - U.S.A. - Tesla : Man Out of Time- Availability: This title usually ships within 24 hours. Stan Gibilisco - Paperback 660 pages. I've now read this one and a great many people have purchased it through the general link to Amazon. Highly popular, I consider that in itself a considerable recommendation. Editorial Reviews - Book News, Inc. Presented as a self-instructional guide for professionals, hobbyists, and technicians desiring to competently enter the world of circuits (ac and dc), measuring devices, resistors, cells and batteries, semiconductors, computers, and the Internet. The author adopts an informal and visually-oriented style, estimating that a daily hour investment for eight months and taking the chapter-end multiple choice tests, in combination with no higher than junior high school level math and physical science, will earn self-didacts basic mastery in this area. ORDER - U.S.A. - Teach Yourself Electricity and Electronics - Stan Gibilisco - A complete self-teaching tool highly recommended to everyone - Usually ships within 24 hours. ORDER - U.S.A. - RF Circuit Design - Chris Bowick - Usually ships within 24 hours. If you are an analog or digital engineer/technician, experienced or neophyte, you'll find the legendary Bob Pease's approach to problem identification and isolation to be applicable to a wide spectrum of engineering disciplines. Based on Pease's immensely popular series in EDN MAGAZINE, he provides clear explanations and proven techniques. Proven methods for troubleshooting analog circuits * Disk with approximately 60 pre-built Electronics Workbench circuits. ORDER - U.S.A. - Troubleshooting Analog Circuits - again another book which has proven very popular with readers here - Availability: This title usually ships within 24 hours. O.K. why is Ian recommending a non-reference book?. Because this is simply the most fascinating book I have ever read and, it is all true. This is not fiction electronics. I am a particular admirer of Dr. Jones. Over a fair period of time I've read and re-read this particular book three times, lent and recommended it to countless people. Simply amazing the part science, electronics in particular, played in WW11. When I first read this book (an earlier edition) I was left with the overwhelming feeling of being a real mental pygmy. Dr. Jones experimented with infra-red, as one example, back in the late 1930's when it was considered pure science fiction. This compelling book goes into great detail how science played such a huge part in allied success in WW11. It covers the fascinating topic of the "battle of the beams", that is, radio beams. You can not help realise that if Dr. Jones did not have the personal ear of Winston Churchill the results might well have been quite different. This text is Jones's account of his part in British Scientific Intelligence between 1939 and 1949. It was his responsibility to anticipate German applications of science (electronics) to warfare, so that their new weapons could be countered before they were used. Much of his work had to do with radio navigation, as in the Battle of the Beams, with radar, as in the Allied Bomber Offensive and in the preparations for D-Day and in the war at sea. He was also in charge of intelligence against the V-1 (flying bomb) and the V-2 (rocket) retaliation weapons and, although the Germans were some distance behind from success, against their nuclear developments. ORDER - U.S.A. - Most Secret War - Dr. R. V. Jones - Usually ships within 2 - 3 days. Remember - Returns Are Easy! Hundreds of the very best projects from the G-QRP Club's magazine Sprat are brought together in this handy book. Includes low power transmitters, simple receivers, accessories, circuit and construction hints and antennas. Ideal for the experimenter or someone who likes the fun of building and operating their own radio equipment. 320 pages. © 2001, published by the Radio Society of Great Britain (RSGB). ORDER - U.K. - Low Power Scrapbook - Radio Society Of Great Britain - Usually dispatched within 2 - 3 days. A wealth of DIY and hobby projects written by experts who really understand home electronics construction. Includes factsheets to help you learn electronics basics as you work through the book. The RSGB Electronics and Radio Cookbook is a unique collection of electronics projects, ideal for all electronics enthusiasts and experimenters. The simple step-by step instructions also make this book ideal for DIY enthusiasts and radio amateurs seeking to build up their electronics skills and knowledge. - 304 pages, NEW I haven't actually read this one yet. ORDER - U.S.A. - Radio and Electronics Cookbook - RSGB - This title is usually ships within 2 - 3 days. I strongly recommend Microelectronic Circuits by Adel Sedra and Kenneth Smith. It's a basic analog and digital electronics book that no person dabbling, for want of a better word, should be without. Perhaps some of the latter portions are more for an Electronics Engineer in VLSI - but it doesn't hurt to know ANYTHING. :) "
ORDER - U.S.A. - Microelectronic Circuits - Oxford Series in Electrical Engineering - A reference book highly recommended to me - fsUsually ships within 24 hours. - Third printing, 1994. © 1986, The American Radio Relay League, Inc.
"I personally own two well worn out copies of this book although my copies are the 1977 editions. Absolutely superb value with so much easy to follow general design information. Full of information on Amateur Radio circuit design and applications, descriptions of receivers, transmitters, power supplies and test equipment. Much of the data cannot be found elsewhere. Essential for every technical library. 256 pages. Extremely cheap at the price and an excellent "general electronics reference book". ORDER - U.S.A. - Solid State Design for the Radio Amateur - ARRL - again another book I can highly recommended to everyone with absolute confidence - Availability: This title usually ships within 4-6 weeks. Please note that titles occasionally go out of print or publishers run out of stock. Amazon will notify you within 2-3 weeks if we have trouble obtaining this title.  data and lead out of fets, transistors, diodes, triacs, thyristors. ORDER - U.K. - Electronic Hobbyists Data Book - R. A. Penfold - This title is currently on order. We expect to be able to obtain it within a month. - The American Radio Relay League, Inc. Practical Circuits for Experimenters by the late Doug DeMaw, W1FB. Just the book for the avid builder of Amateur Radio equipment. This plain-language book is filled with simple, practical projects that can be built using readily available components and common hand tools. There are explanations of how the various circuits work without heavy mathematical analysis. 200 pages. ORDER - U.S.A. - W1FB's Design Notebook - ARRL - yet again another book I can highly recommended to everyone with absolute confidence - Availability: This title usually ships within 4-6 weeks. Please note that titles occasionally go out of print or publishers run out of stock. Amazon will notify you within 2-3 weeks if we have trouble obtaining this title. Wes Hayward W7ZOI, is widely known as one of the most astute designers around, anyone involved in "home brewing" their own electronic equipment will sooner or later buy a Wes Hayward publication. Wes is world famous for taking the complex and making it simple, for designing a wide range of test equipment you can build at home for a fraction of the cost of professional equipment with almost comparable performance. Wes's spectrum analyzer project is just one such "killer" application. ORDER - U.S.A. - Introduction to Radio Frequency Design - Wes Hayward W7ZOI - this book I highly recommended to everyone. My copy of Bill Orr's Handbook is the 19th edition, 1975. Fortunately you can have later and revised editions. 672 pages 23Rd/Rpt edition (May 1997). 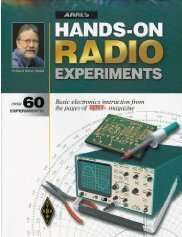 ORDER - U.S.A. - Radio Handbook - Bill Orr W6SAI - Usually ships within 24 hours. Another famous title from our icon the late Doug DeMaw, a true "gentleman's gentleman" and a very innovative designer who affected and changed so many lives for the better. 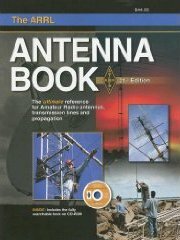 ORDER - U.S.A. - Practical RF Design Manual - Doug DeMaw, W1FB - This title usually ships within 4-6 weeks. Another widely respected author who also has a fine sense of humour. A prolific writer and major contributor to columns in electronics magazines. ORDER - U.S.A. - CMOS Cookbook - Don Lancaster - This title usually ships within 2-3 days. A further title from this prolific author, perhaps this one is my personal favourite from Don's long list of contributions to electronics. ORDER - U.S.A. - Lancaster's Active Filter Cookbook - Don Lancaster - This title usually ships within 2-3 days. Considered by many as the definitive book on Op-Amps. Terrible shame Walter's famous book on "555 Timers" is no longer in print, why?, if you ever see a second hand copy grab it. ORDER - U.S.A. - IC Op-Amp Cookbook - Walter Jung - Usually ships within 24 hours. NOTE - I've not personally reviewed these publications. Just suggestions. Please send me your valuable comments and suggestions! Tell your friends, tell a news group, tell the world! the author Ian C. Purdie, VK2TIP of www.electronics-tutorials.com asserts the moral right to be identified as the author of this web site and all contents herein. Copyright © 2000 - 2001, all rights reserved. See copying and links. These electronic tutorials are provided for individual private use and the author assumes no liability whatsoever for the application, use, misuse, of any of these projects or electronics tutorials that may result in the direct or indirect damage or loss that comes from these projects or tutorials. All materials are provided for free private and public use.